WINNER, 2016 IBPA Benjamin Franklin Gold Medal for Science Fiction & Fantasy. Morgan le Fay, sixth-century Queen of Gore and the only major character not killed off by Mark Twain in A Connecticut Yankee in King Arthur’s Court, vows revenge upon the Yankee Hank Morgan. She casts a spell to take her to 1879 Connecticut so she may waylay Sir Boss before he can travel back in time to destroy her world. But the spell misses by 300 miles and 200 years, landing her in the Washington, DC, of 2079, replete with flying limousines, hovering office buildings, virtual-reality television, and sundry other technological marvels. Whatever is a time-displaced queen of magic and minions to do? 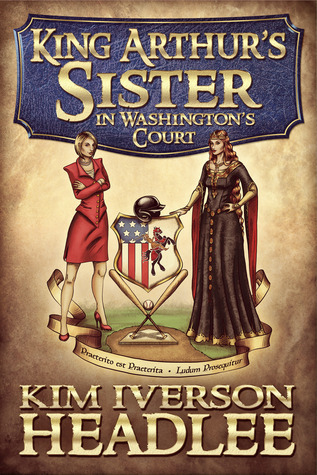 Why, rebuild her kingdom, of course—two kingdoms, in fact: as Campaign Boss for the reelection of American President Malory Beckham Hinton, and as owner of the London Knights world-champion baseball franchise. 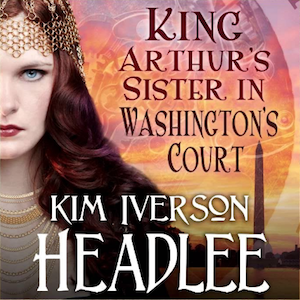 Written as though by the old master himself, King Arthur’s Sister in Washington’s Court by Mark Twain as channeled by Kim Iverson Headlee offers laughs, love, and a candid look at American society, popular culture, politics, baseball… and the human heart.